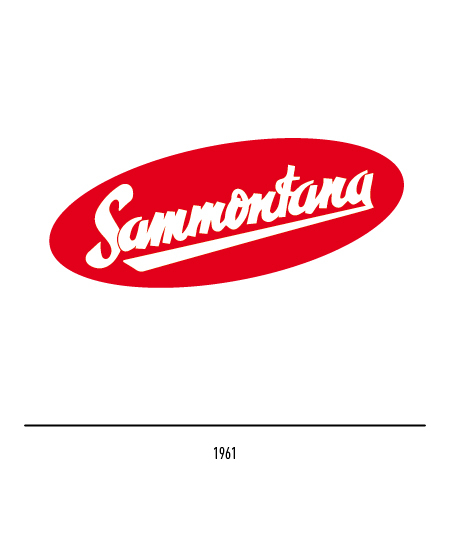 The company was founded in 1946 by Renzo Bagnoli, after he decided to turn his family-owned milk shop in a bar-ice cream shop in Empoli; the name Sammontana was taken from a close-by farm which bore the same name, located in the MontelupoFiorentino municipality, the same farm where the Bagnoli family used to buy fresh milk. 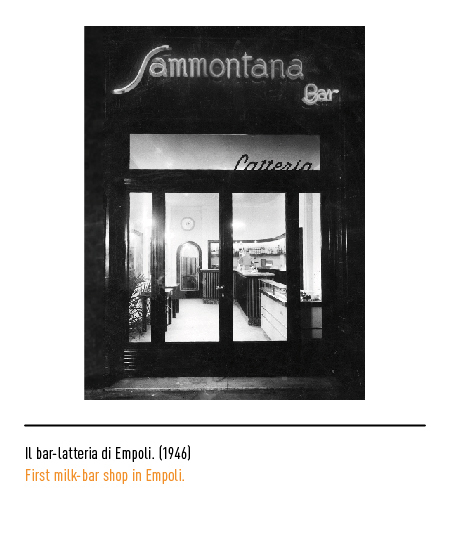 In 1948 he reinvented his company: from a bar- ice cream shop, it became an artisanal ice cream laboratory, starting to sell also outside Empoli. 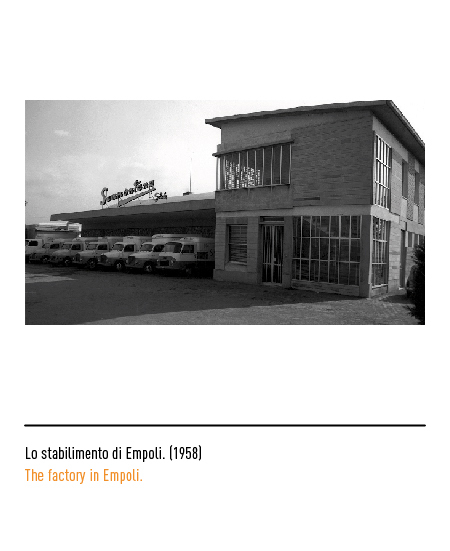 The first mechanized production is set up after the Bagnoli brothers get their hands on some ice cream machinery left behind by the US troops in a junkyard in Genova. 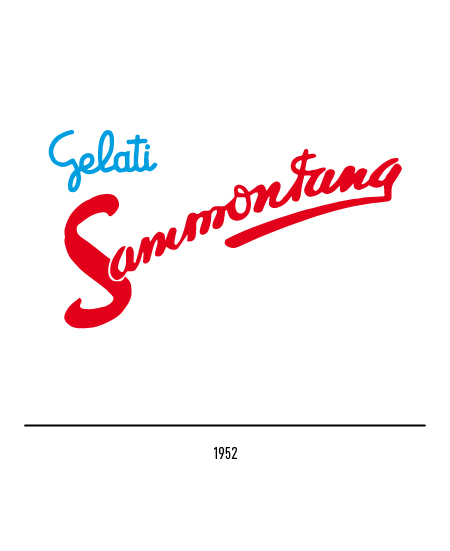 In 1952, the first logo was born, which consisted of a red calligraphic logotype (very popular at the time), in which the last letter bore a long trait underlining the whole logotype; in 1959 the piedmont painter SineoGeminiani was appointed with the task of creating a visual element which could convey all visual communication. 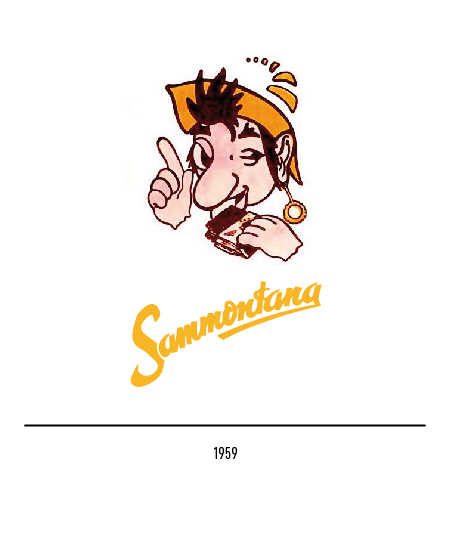 It was then that the friendly corsair was introduced, licking an ice cream cone while winking at the customers; rather than the red logotype, a yellow one was used, but with the same appearances. 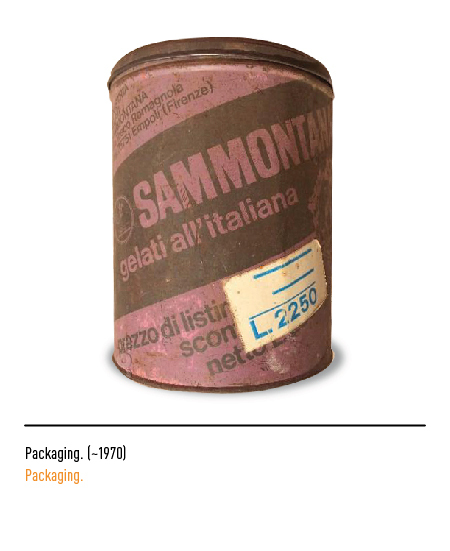 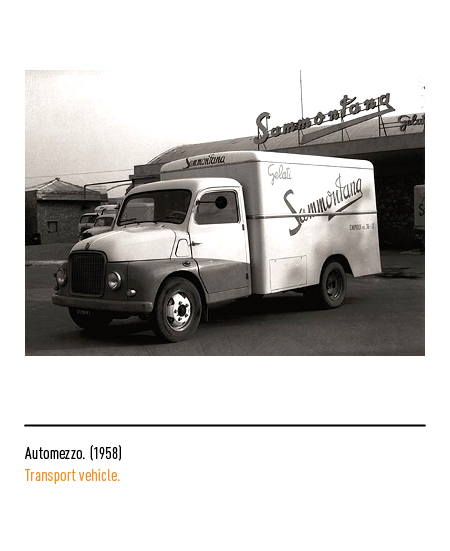 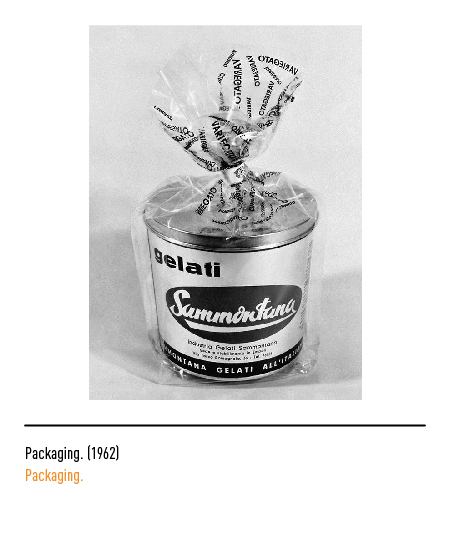 In 1961 the need was felt for a new logotype, with a longer underline and a red oval frame; at the time, ice cream was delivered in Sammontana very own metal kegs, each containing 6 liters of product. 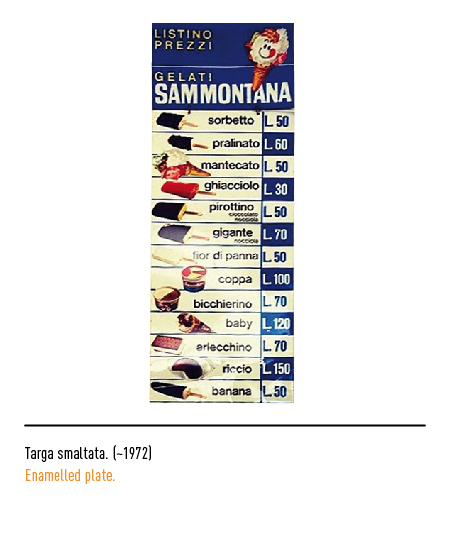 ; with the economic growth, Italian families can now afford fridges in larger numbers. 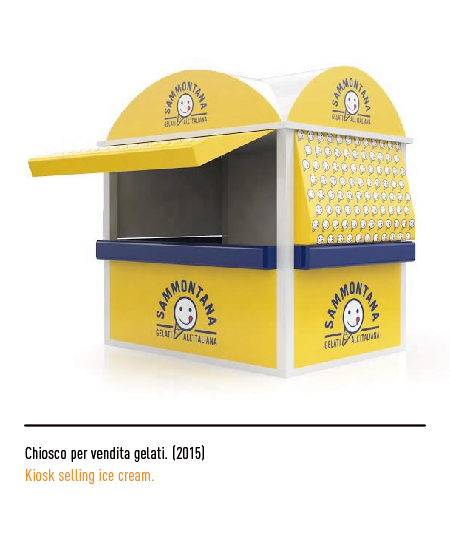 This meant, ice cream could be kept at home and be enjoyed at any moment of the day. 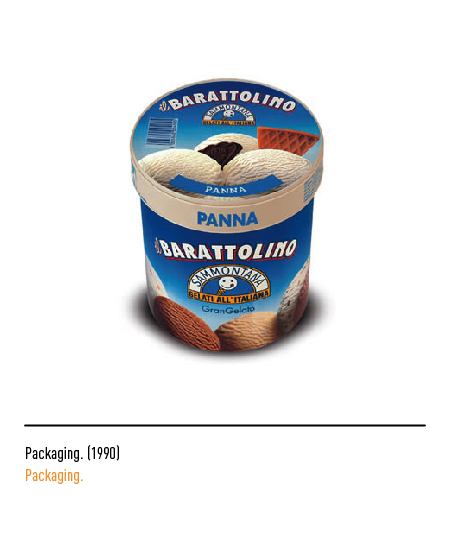 The product becomes then a must in the Italian fridges, and the high profits allows the company to develop the necessary technology and knowledge to commercialize single portion ice-creams. 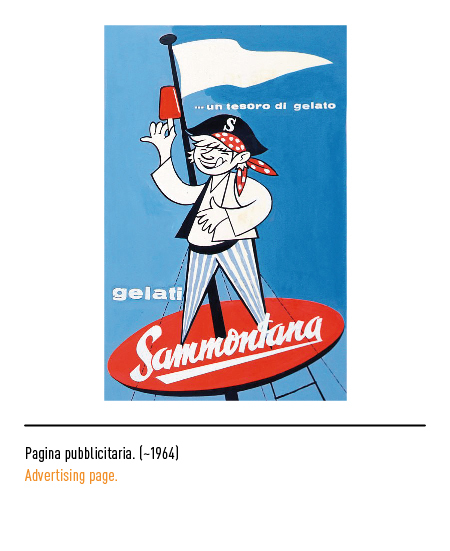 Starting from 1964 the iconic corsair was used in the advertisement, but this time in full figure, with the slogan “un tesoro di gelato” (a treasure of ice cream). 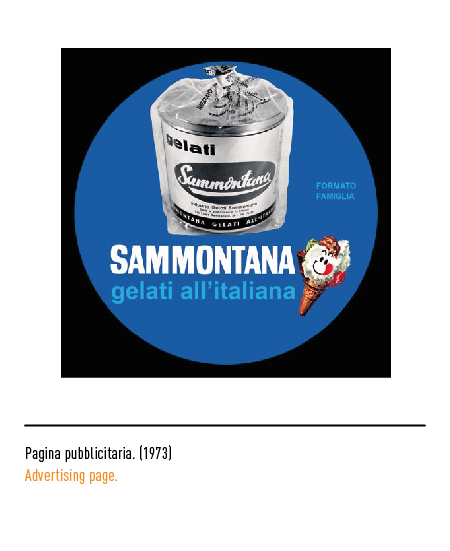 In 1968, the logo still used nowadays was created: the humanized ice cream cone with eyes, a mouth a red tongue sticking out and the slogan “gelatiall’italiana” (Italian-style ice cream); this logo was supported by the logotype in sans font. 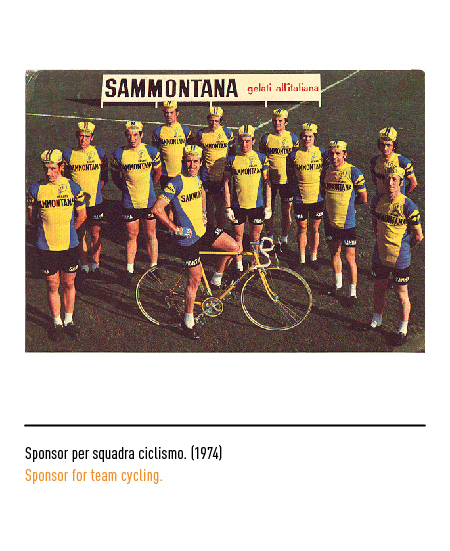 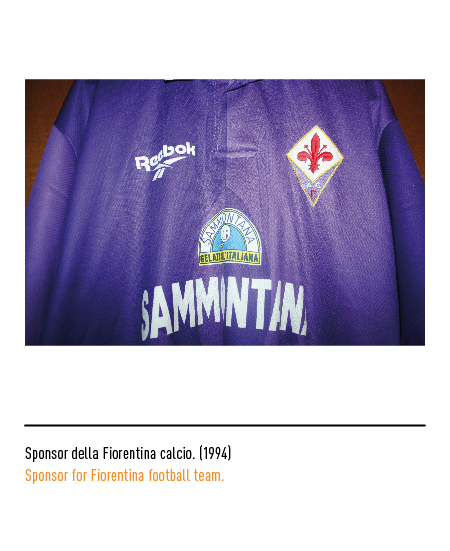 Throughout the years Sammontana has become famous also for their sponsoring of cyclists and football teams (Fiorentina and Empoli). 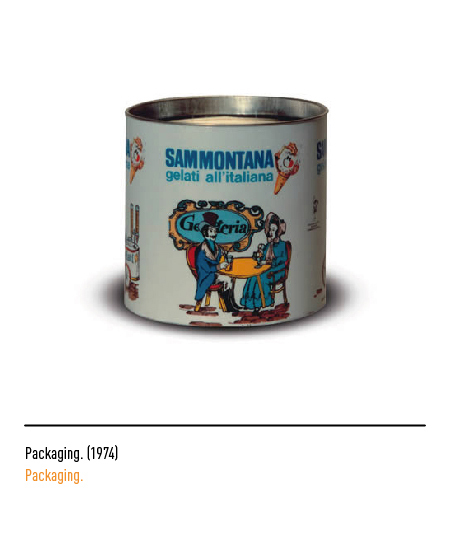 By the late ‘70s Sammontana ice creams are sold in all the Italian bars and after few years, also in the most important wholesalers. 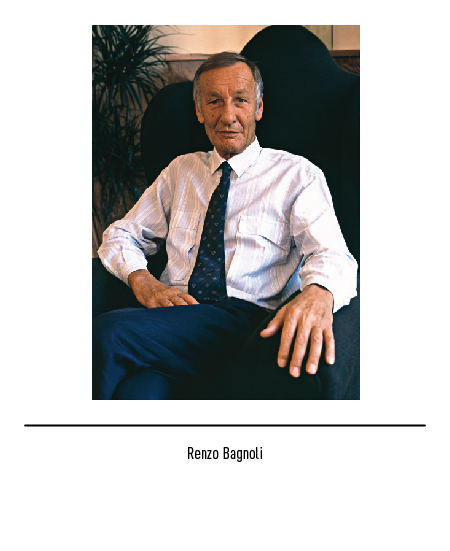 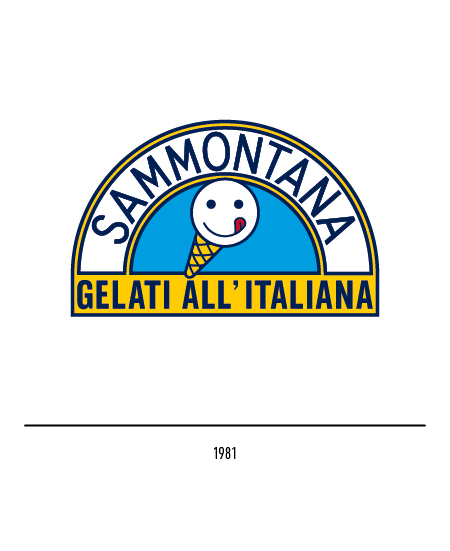 In 1981 the son of Renzo, Marco Bagnoli, decided it was time for another restyling of the logo; he appointed Milton Glaser, a United States based graphic designer, with the task of changing the brand. 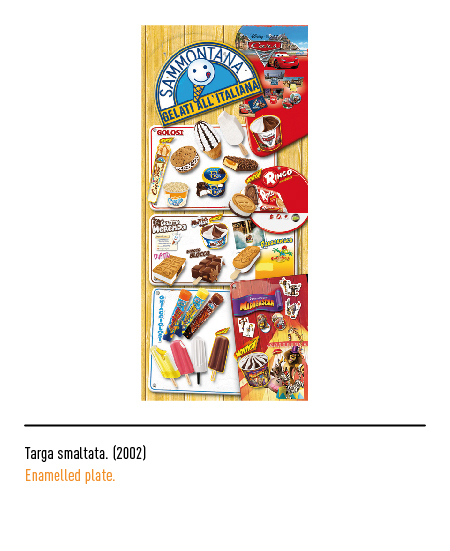 His proposal was focused on a simplification of the cone, and its placement in the center of a halved moon. 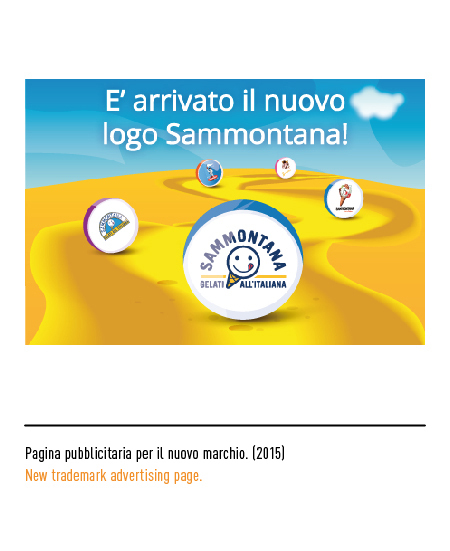 Sammontana has always been very committed to their communications department, trying to communicate a feeling of happiness, honesty, lightness without forgetting the Italian traits; this consolidated the meaning of the slogan “gelatiall’italian”. 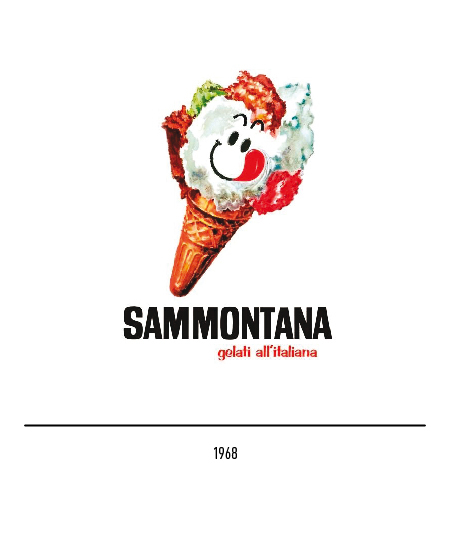 In 2008, after having acquired the most famous Italian food brands, Sammontana becomes a leader in the Italian food industry, especially in the ice cream market, next to the big corporations. 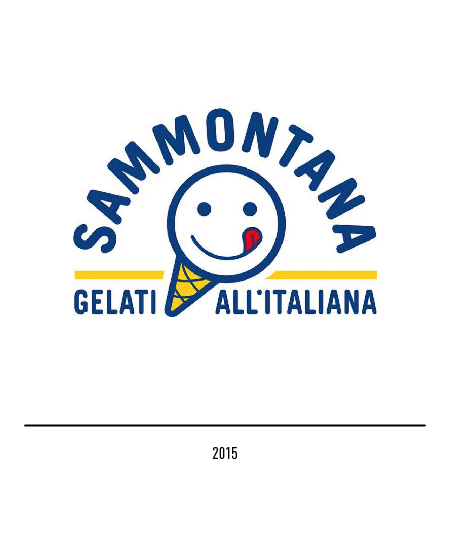 In 2015 the company continued its restyling process, by changing the logo once again: the symbol of the “conetto” is still the focus of the composition, as Milton Glaser intended it to be; but the logo is further simplified, with the inscription “Sammontana” and “Gelatiall’italiana” forming the halved circle shape.